Do you want to lengthen and strengthen muscles while also increasing flexibility and range of motion? You can’t go wrong with the Stretch’n Flex fitness class right here in Columbia. This well-rounded fitness class will take your workout routine — and your results — to the next level. You can rely on us to always provide you with fitness classes in Columbia that you’ll enjoy and that will give you results. Visit Fit Central today and get your first class for free! Visiting a new yoga studio, barre fitness class, or group fitness class can be scary when you first start out. 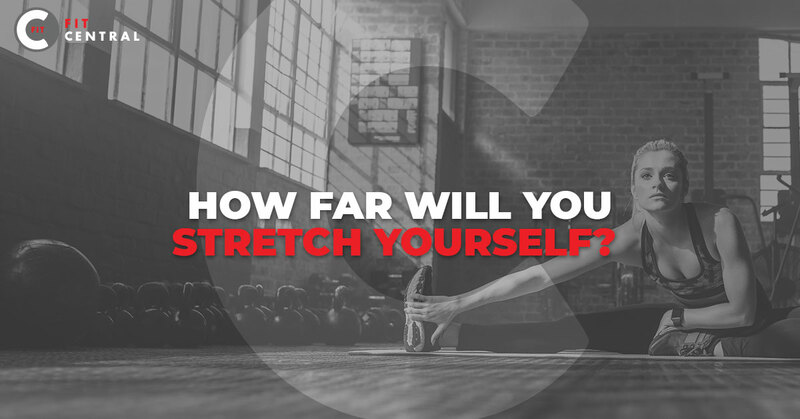 Read here to learn what to expect, though, and you’ll be just fine during your first Stretch’n Flex class. Yoga – You can expect a decent amount of yoga positions and flows in any Stretch’n Flex class at Fit Central. We do, of course, offer a yoga class you can check out as well. Pilates – Get ready for One-Leg Circles, Spine Stretches, Roll-Ups, and more. These common Pilates exercises could be in your group fitness class. Don’t stress if you haven’t done them before though! Your instructors will show you all you need to know. Dance – By incorporating elements of dance into this group exercise class, you’ll have more fun, feel more energized, and become more comfortable with your body — while also toning and increasing flexibility. As always, you’ll most likely want to bring a water bottle and a mat to this sort of fitness class. Yoga, Pilates, and dance can all benefit your body — and your mind — in different ways. By combining the three, you can get benefits from each. We think this is one of the best group fitness classes because the benefits alone are enough for your weekly routine. We also love, however, that this class can be paired so easily with any other cardio or strength class at our fitness studio. Whether you’re looking for a group training class for your lower-impact days, want to get an extra workout in on a regular day, or simply want to focus on Stretch’n Flex classes, the routine is versatile enough to do it all. On top of this, this fitness class is only 30 minutes — it’s so easy to add into your schedule. At Fit Central, we love introducing experts and beginners alike to personal training, high-intensity workouts, group training classes, and more. Check out the schedule and get your first class for free! We offer a variety of fitness classes, there are perks to membership, and we’re even a gym with child care provided.